Give the gift of surfing to someone special! 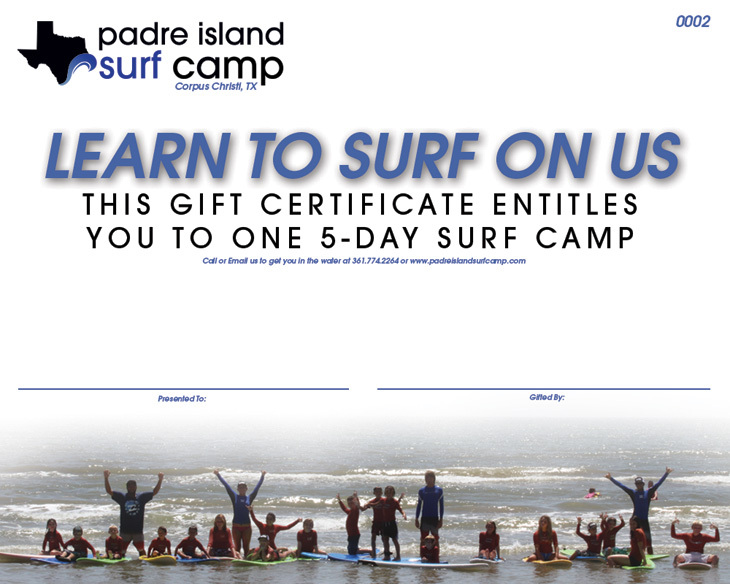 Call us or send us a message using the online form below for a gift certificate for any of our surf camps or lessons. We can even gift mail the certificate for you!